Tilly Sveaas Jewellery is a unique and inspired collection of symbols and charms – jewellery that not only adorns the body but intrigues the mind. 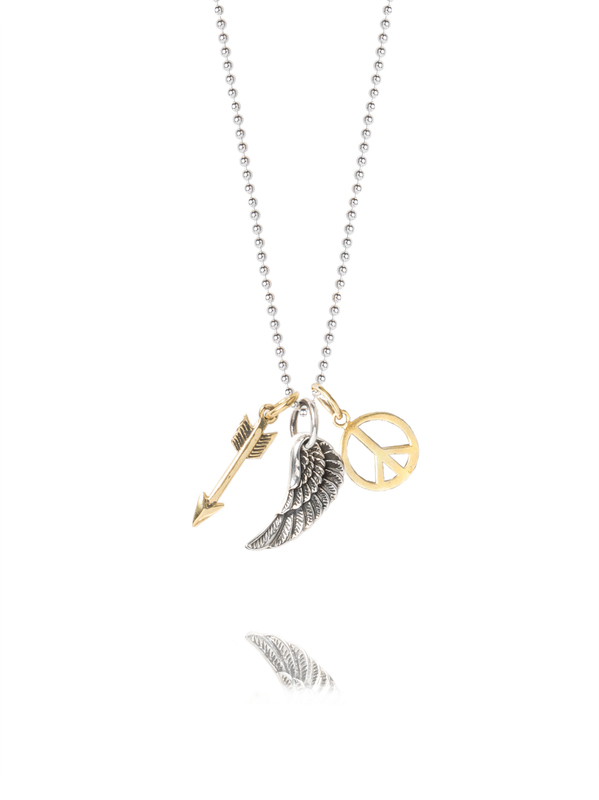 The small brass arrow measures 1.5cm in length, the sterling silver wing 2.5cm and the tiny brass peace sign 1cm. All three charms hand on a 60cm sterling silver ball chain. If this isn’t your perfect combo and for a true personalised experience, why don’t you design your own charm cluster by picking a chain from the chain section and mixing it with a selection of hand picked charms.